Last night I went for a stroll in Boston for the first time since my little paws returned home to Cambridge back in July. It was truly a wonderful night to be out in the city. 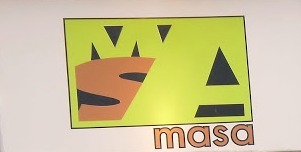 My destination for the evening was a southwestern restaurant called Masa in the South End on Tremont Street. It had been over two years since I had been here and I was anxious for my return. I ordered off their 3-course prix-fixe menu for Dine out Boston. My spinach and artichoke flautas were out of this world. Two perfectly crisped tortillas stuffed with cheese, spinach and artichokes, were doused with a spicy, smoky red sauce that made my little tail wag feverishly. The entrée was a slow cooked chicken adobado with black bean mole, jalapeno cream salsa, grilled peaches. Here’s where the tail stopped wagging. Don’t get me wrong everything was expertly prepared, wonderfully flavorful, and beautifully presented. So why did my tail stop wagging? The portions were way skewed for my taste. The plate consisted of two very large, perfectly prepared portions of chicken (literally a half chicken), their grilled peaches should not be plural, I received ½ a grilled peach, and perhaps 6 wilted spinach leaves under the chicken. As I said, very unbalanced. Um, guys? How about some spicy pozole, mashed potatoes, or even some rice with the meal? Perhaps some steamed vegetables, anything, but a heaping plate of chicken with nothing else. So there you have it. Masa is a great restaurant, don’t get me wrong, just be prepared. If you like all meat and little else, then you’re all set. For me, the next time I go back, and I will go back because it’s just that good, I will probably order a few items off their appetizer menu. At least that way I’ll be able to control the balance of my meal.